In 2017, Joan aligned Ipswitch's channel business with the company's North America sales teams and its partners, reinforcing its go-to-market model, and growing new business through partners by 48 percent year-over-year. For nearly three years, Joan has been overseeing Ipswitch's North American channel team so that communications, sales, demand generation and partner acquisition programs are aligned with the company's mission to help small business and enterprise teams to successfully navigate the complex IT environment. 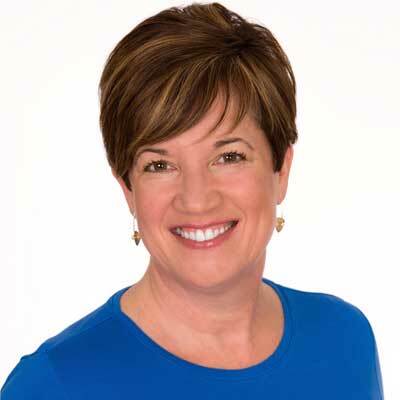 Joan was recognized as one of CRN's Women of the Channel in 2016 and 2017, and a 2017 and 2018 CRN Channel Chief. She was Senior Manager, Product Marketing and Programs at Plex Systems, Inc., Director, Worldwide Partner Marketing at Progress Software and Director, Marketing Programs at Pegasystems. "Joan listens to channel partners on how we can best help them to grow their businesses, and what they specifically need from Ipswitch," said Michael Grossi, CEO of Ipswitch. "From new partner tools to demand generation and vertical programs, Joan has been delivering the partner community what it needs to be most effective. The growth of new business through our partners in 2017 is a testament to her commitment to our partners and the IT channel." I worked closely with our field marketing teams to implement the IPAK (Ipswitch Partner Accelerator Kit) - this is an online, interactive web page that contains channel battle cards, product collateral, videos - all accessible via their phone, tablet or computer. Our new, online global streamlined partner community launched in October 2017, designed to increase customer success and retention by providing Ipswitch partners with one site that delivers support, product downloads and self-service in a high value-add experience: https://www.ipswitch.com/about/news-and-events/ipswitch-news/new-globalstreamlined-partner-community-launches-by-ipswitch I also introduced Quarterly Business Reviews (QBRs) into Ipswitch's distributor and reseller community, driving goals and programs to produce results collaboratively. Jeanne Hopkins, Ipswitch's Executive VP & CMO is a powerful mentor to me. Jeanne is a strategic thinker and brings new ideas that enable Ipswitch to increase its brand awareness in chosen markets. Jeanne is a strong supporter of the channel and our efforts to drive partnerships that generate new customers and revenues. In addition to her marketing and business acumen, Jeanne also hits the road with me - enthusiastically engages with my partners and their sales teams on topics including new product launches, marketing programs and overall importance of our partners to Ipswich's growth. I learn from her daily. Stay true to yourself. At 16, I was the person I am trying to get back to today. I would tell my 16 year old to stay authentic, follow your instincts and keep smiling. Others are also trying to find their way - you don't need to follow them. Your way is working - and will continue to evolve as you grow and define your own style. You are fabulous - enjoy the journey. I would like to become proficient in a new language, specifically sign language. I was brought up with a deaf brother and in my early years was quite good at American Sign Language (ALS). Communications is a large part of what I do on a daily basis and adding a new language would broaden my reach to more people and also reinforce my native language, English. I recently was in a situation where I needed to be in a business meeting and their primary language was ALS. I had to have an interpreter - which was eye opening for me. A great read and lots of good simple advice for attaining goals is, "You Are a Badass: How to Stop Doubting Your Greatness and Start Living an Awesome Life." This winter, I learned about an author and success coach, Jen Sincero. Jen has a very direct and colorful way of talking through her self-help book. She speaks from her own experiences of hitting rock bottom through self-sabotage and the actions and retraining of her brain to re-create herself to become a happy and productive person - all while making a lot of money.